Mœbius- famed French comic book artist Jean Giraud had an impeccable hand for vivid graphic illustration. Mostly futuristic in vision his imagination stoked the creative minds behind Alien, The Empire Strikes Back, and Blade Runner. 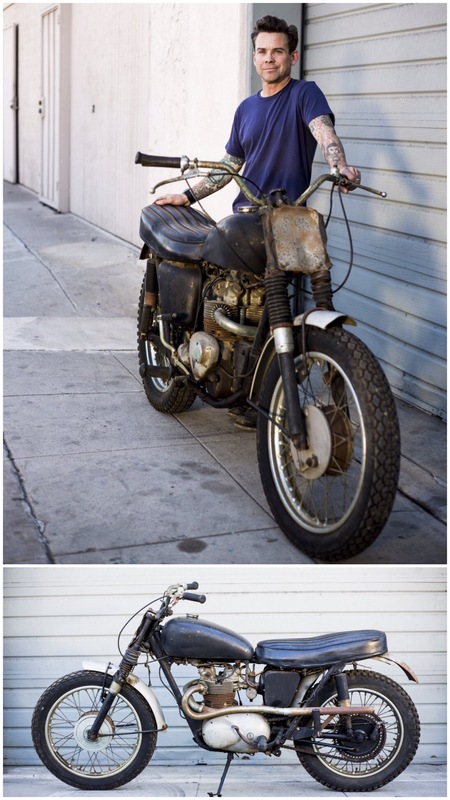 Here his moto related style shows off his line, use of color, and balance of the everyday with fantasy. I like how he shows the literbike slightly off the ground to define speed . .ROARRRr! Let’s Go! 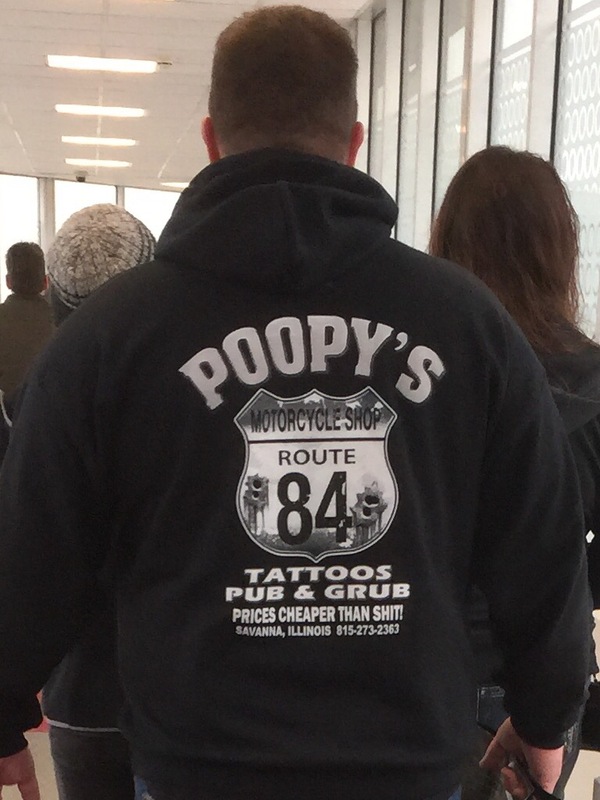 A destination to get beer, burger and ink. Halfway between Dubuque and the Quad Cities it sits on the east bank of Old Man River Mississippi… 3 hours by hog from Chicago: pure Americana by the looks of it. 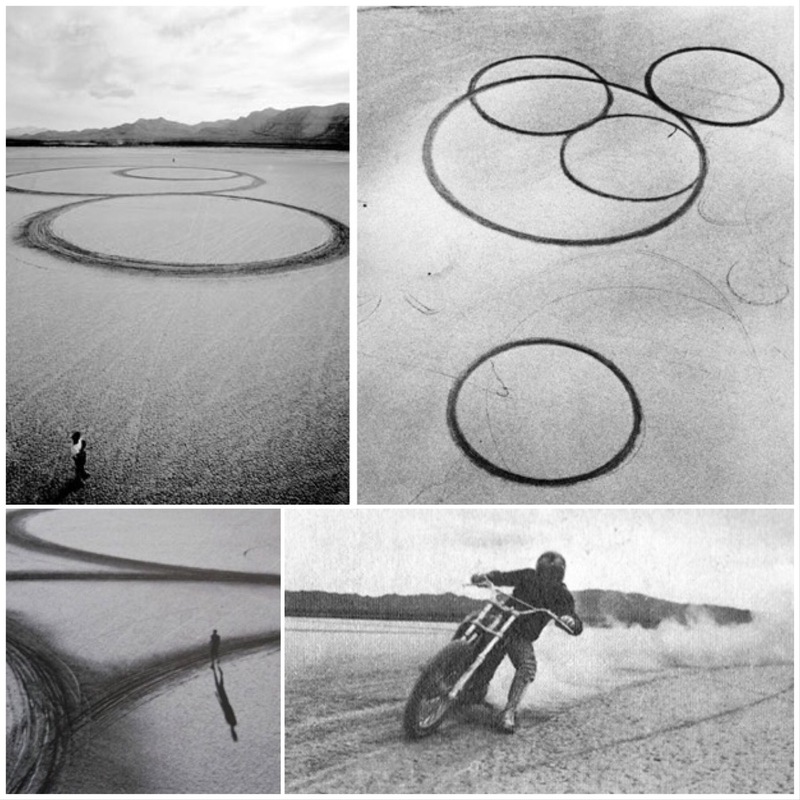 Motorcycle Land Art – ‘Circular Planar Displacement Drawing’ is a piece of large scale art made by Michael Heizer on a dry Nevada lake in 1970. 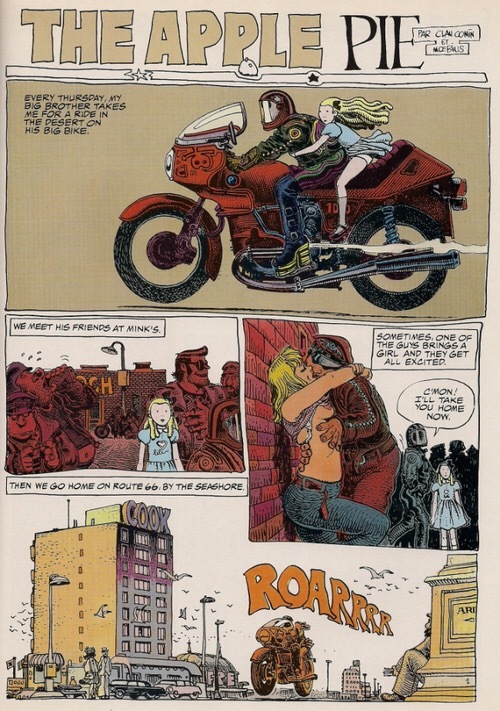 The artist rode a motorcycle in circles allowing the tires to gouge their mark in the dirt. “You Dirty Rat, You!” This is the grotty underbelly of the biking world: where owners let their rides gather the accouterments of the highway and beyond. Odds and ends, flotsam and jetsam, bric-a-brac… junk. 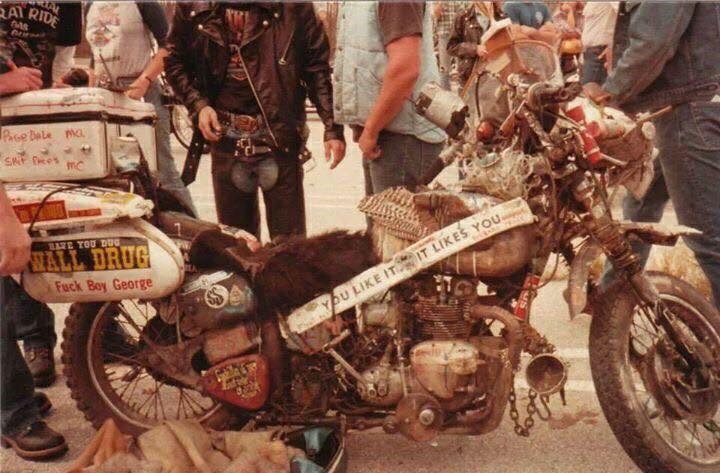 Under this palimpsest of knickknacks is a hardtail Triumph, complete with sheepskin (or buffalo skin) seat cover, these typically attain high mileages with well cared for engines… just the patina of life adds character and individuality. 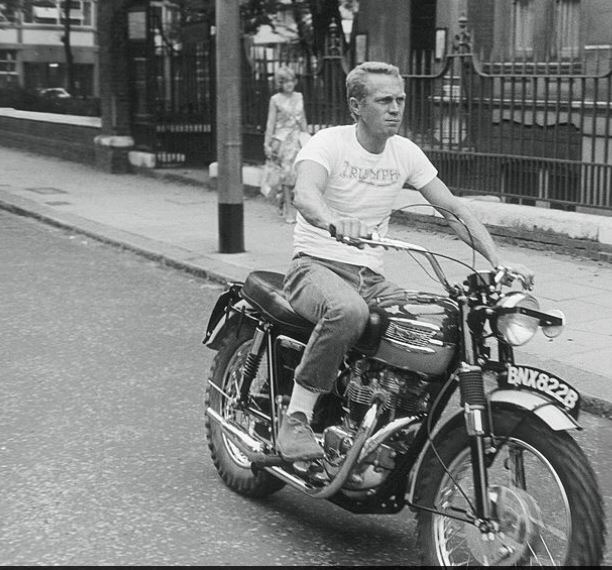 Five times Three – in the late sixties Triumphs triples were a force to be reckoned with when tuned for speed and power. Especially when under the engineering magic of Doug Hele (on the left). 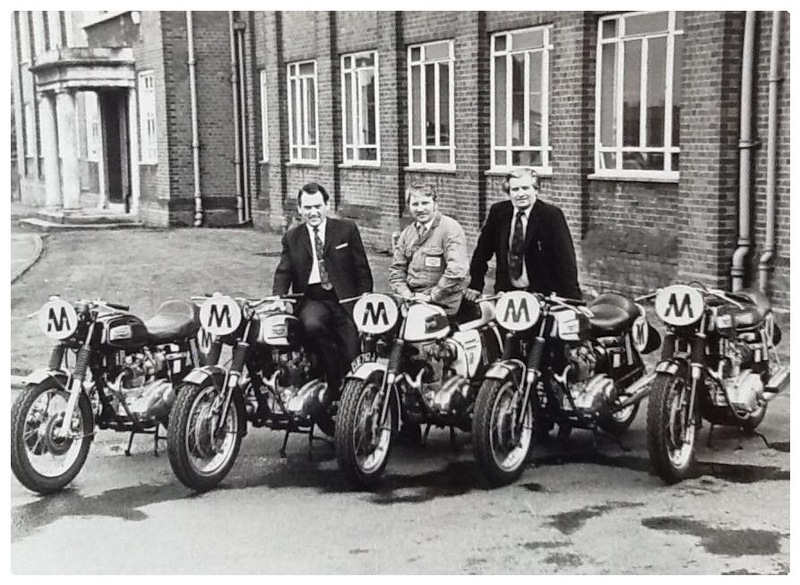 Instrumental in most major British fast bikes for the mid century decades. I can’t see the Sun setting on these machines… watch out Slippery Sam the Trident wielding gods are abroad! 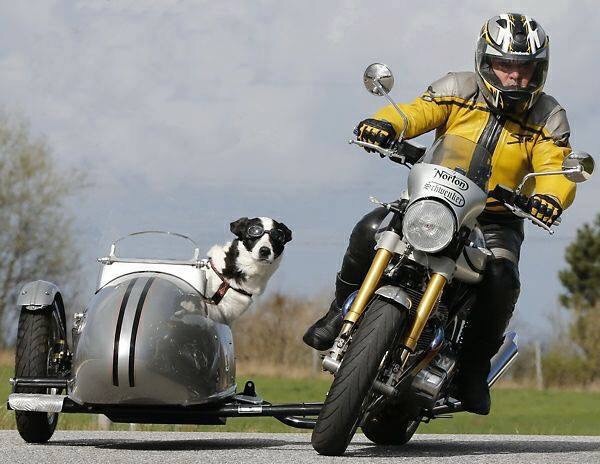 Man’s Best Friend – a nifty rig for a modern Norton with leaning capabilities this owner is enjoying the company of his hound on road-bound outings. These rideable combinations from Schwenker allow the true motorcycle experience that normal rigidly mounted rigs can’t achieve. Doggles let pooch alllow the “wind to blow through his feathers”. 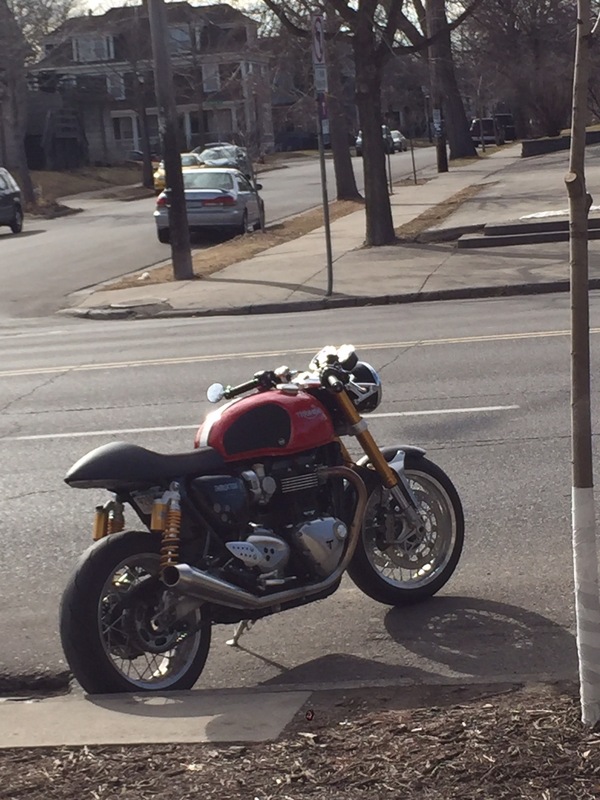 Bell ‘n’ Whistles – my nephew Marcus saw this beaut in Minneapolis earlier today. So being a diligent blogger assistant captured a photo… Thruxton with all the goodies. In red too. Lovely. 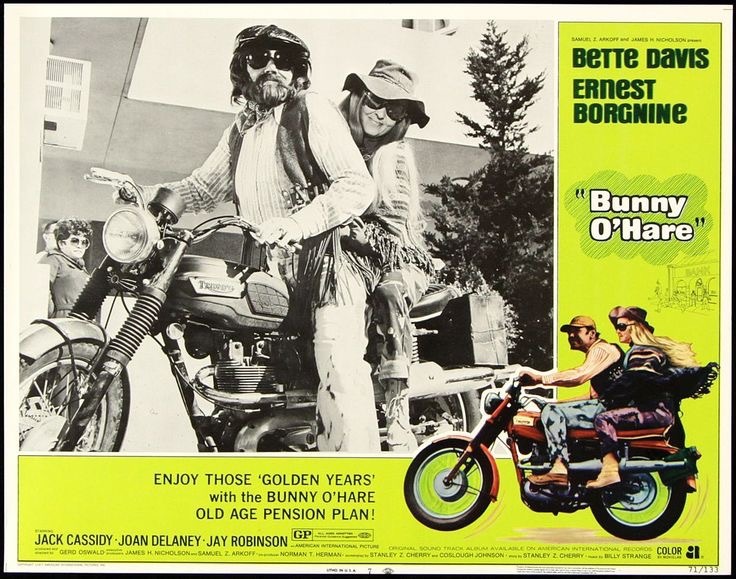 Bank Robbery – a 1971 film starring Ernest Borgnine and Bette Davis as an unconventional pair of thieves. In wigs and fake beard disguises their getaway vehicle is non traditional too: a Triumph Trophy 250, bit of a cream-puff when it comes to power. 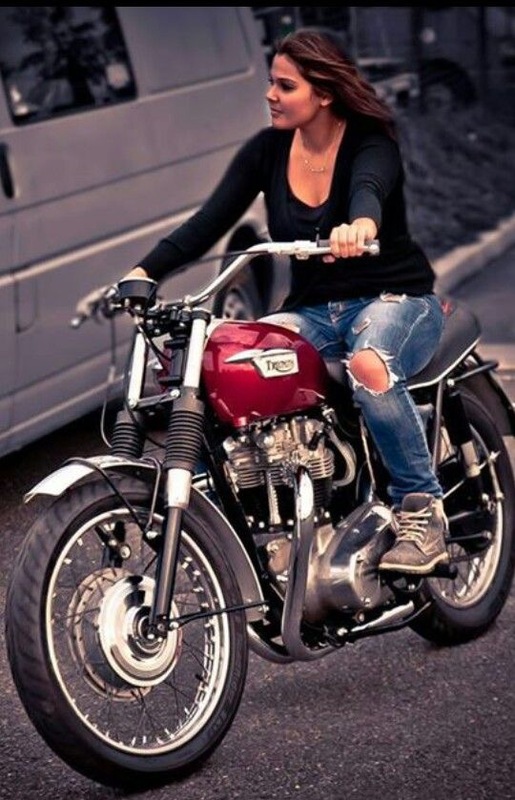 I know this was the bike I had when first arriving in the ‘States and indeed got my motorcycle license on. I wouldn’t do errands on it never mind a bank robbery! Boots – sturdy footwear for feet that get stuff done. I need by boots to be supportive, comfortable, enduring, and good looking; in that order. 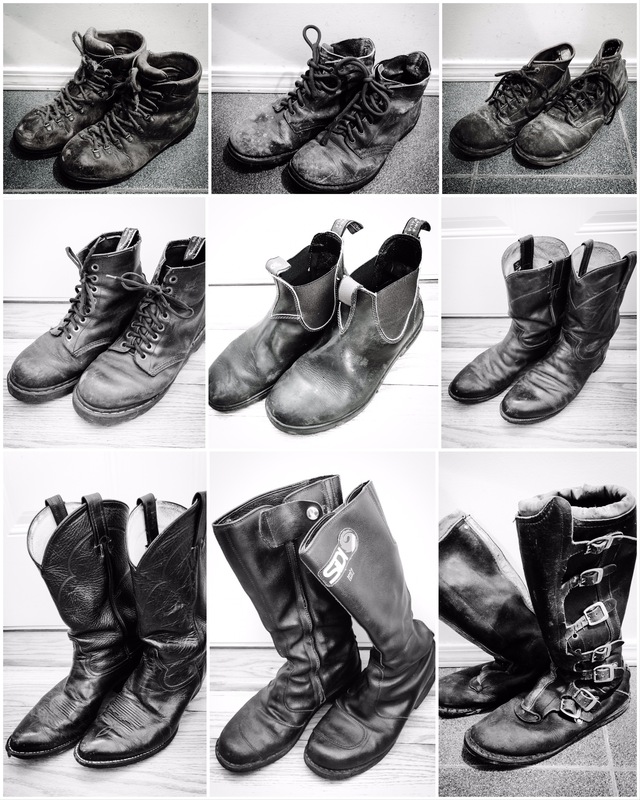 Here are a few of past and present pairs I use for everyday wear as well as specialized utility. Top to bottom, left to right. Scarpa Walking Boots – these have seen countless miles over field, up mountain, across bog. I haven’t worn them in twenty years but they became like slippers to me as the fathoms were yomped. Sherpa Work Boots – Stout blood-red, heavy soled clompers to take care of your tootsies on a work site. Thick socks needed for these. Doc Marten Work Boot – blonde version of the ubiquitous ‘Docs’. Vibrant soled and light. These were a good daily shoe that could take some abuse when required. Doctor Marten Air Wear – my 8-Hole ‘Docs’ were found in an alley on top of a dumpster. A bit heavy soled, but like walking on air. Great on the Triumph when kick starting. Justin Roper – a light and comfy tall boot. I had the leather soles redone with a thin Vibram tread. Again, these should last. 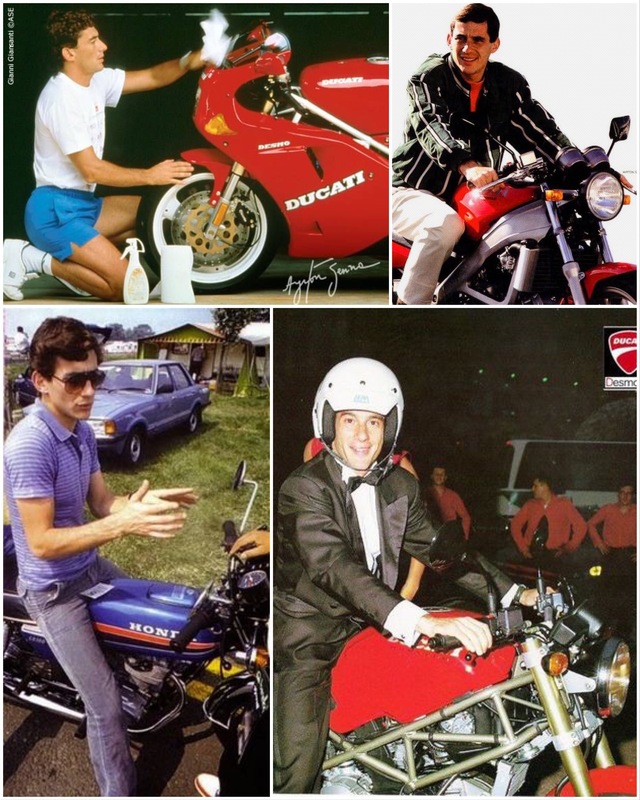 Sidi Monza – these zip-up vintage motorcycle boots are Italian made and fit like a glove. Good heel to kickstart with and grip foot pegs well. Gear changing protector atop the toebox, and supple but strong leather. A perfect riding boot in my mind. Vintage Motocross – acquired for the Cub, these well buckled protective boots can be used on the road too. 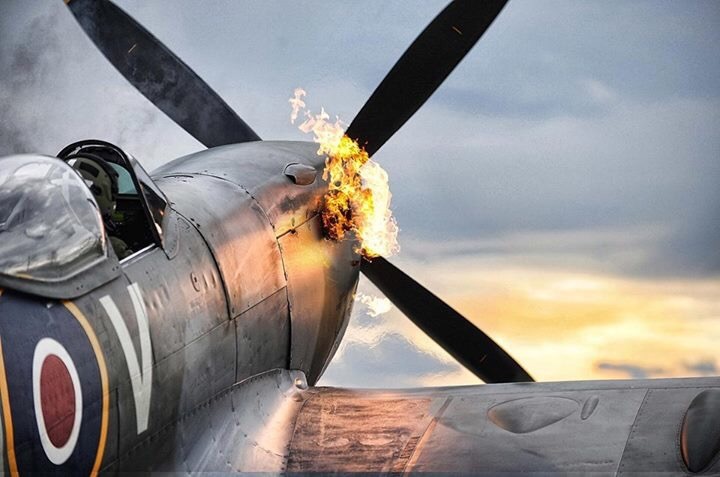 A certain ‘Mad Max’ air to their appearance may give drivers second thoughts before messing with you. Not on this list and no longer in my possession: a couple of other pairs of Sidi, Frank Thomas’, some Clarks desert boots, and Asolo winter climbing boots. But remember these boots are useless without a pair of fresh clean socks. Frige’s Day (Frigedæg in old English)- Norse goddess who had the power of foreknowledge. 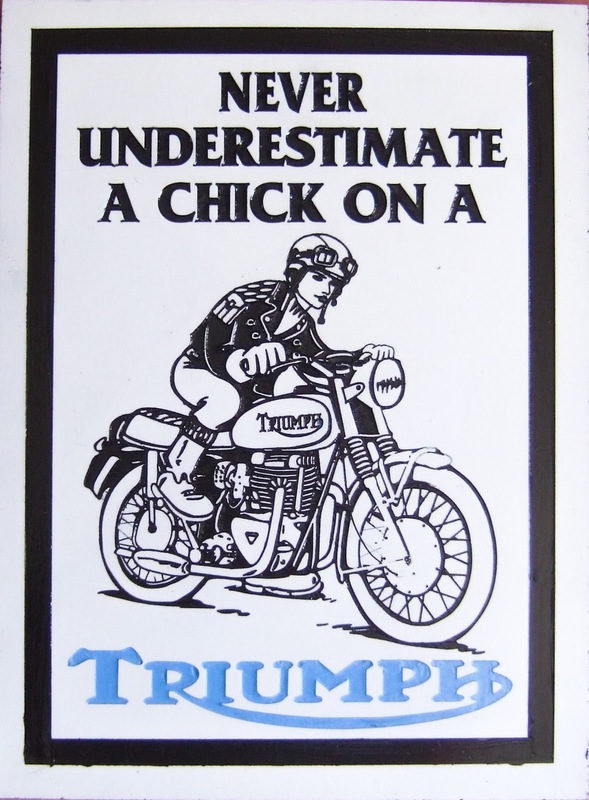 A sturdy TT Triumph is a suitable Valkyrie-like ride for possible warming spring weather that is in the foreseeable future.